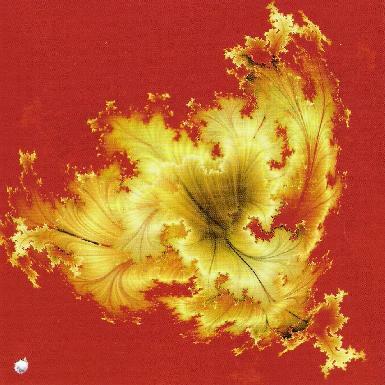 Djam Karet - "Recollection Harvest"
Djam Karet have been around for about 2 decades, having endeared themselves to the progressive rock community, but with varied elements that crossover to the space rock and ambient realms as well. And if we want to dispense with the genre labels then I, for one, am content with recognizing them as one of the best damn ROCK bands on the planet. Recollection Harvest is their latest, and once again on the always adventurous Cuneiform label. The CD consists of two albums: Recollection Harvest and Indian Summer. The Recollection Harvest tracks draw heavily on classic progressive rocks sounds and styles, though Djam Karet succeed at combining these styles with their own trademark sound to create music that is fresh and exciting and in no way retro or dated. Tracks like "The March to the Sea of Tranquility" and "The Packing House" are like tours through all the hallmarks of classic progressive rock: brooding mellotron, whining guitar licks, majestic guitar and keyboard melodies, and a parade of thematic transitions from dark and disturbing to intense and uplifting. And I love the way the band create calm melodic passages that are at the same time full of power and passion. "Dr. Money" is a killer prog rocker with keyboards that recall early Genesis, singing Fripp styled guitar licks, and turn-on-a-dime instrumental shifts. It's classic prog that rocks hard but with an intent melodic focus. "The Gypsy and the Hegemon" and "Recollection Harvest" include some of the most fiery, intense and instrumentally dynamic music on the CD, delving into mid-70's King Crimson-ish realms at times, but also combined with jazz-like grooves and embellished by some cool spaced out alien synths. "Recollection Harvest" is a real gem, getting downright funky at times, while at others pounding the listener with a blazing, metallic heavy prog assault. Wow! While the Recollection Harvest tracks are in the 7-11 minute range, the Indian Summer cuts are a more concise 3-5 minutes and feature the bands more ambient and purely melodic side. "Indian Summer" features an interesting combination of atmospherics and playful keyboards. "Open Roads" blends space electronics and ambience with ethnic percussion, acoustic guitar, a cool jazz bass sound, ripping guitar and a gorgeous melodic aesthetic. LOTS happening but it's a really beautiful piece of music. "Requiem" is the another deep space tune that combines soaring space electronics and guitar licks with heavy walls of keyboard. "Dark Oranges" is a short but totally cosmic journey into space. And while all the Indian Summer tracks work nicely as brief statements, this is the one track I would have loved to have heard fleshed out and developed a bit more. In summary, Recollection Harvest is another smoking success from this always exciting band. And I'm glad they chose to combine these two different albums into one set. Long time fans already aware of the diversity of Djam Karet's interests will be delighted, and it also offers a nice variety to the uninitiated getting their toes wet for the first time.